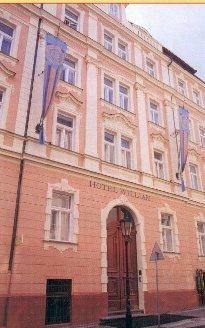 Owned by the same family as the Melantrich, the WILLIAM offers quality, yet affordable accommodation in the MALA STRANA. It is situated close to major sights - Charles Bridge, Petrin Hill and within easy reach of the Castle. The building dates from the 18th Century and the public rooms echo this period in their decor. All the bedrooms are elegantly furnished and all are of course equipped with en-suite facilities and sat. tv. The WILLIAM is new and opened only in 2001.